Wayne State University School of Medicine resident and Class of 2014 alumna Ella Hong, M.D., is transferring her residency to another institution. 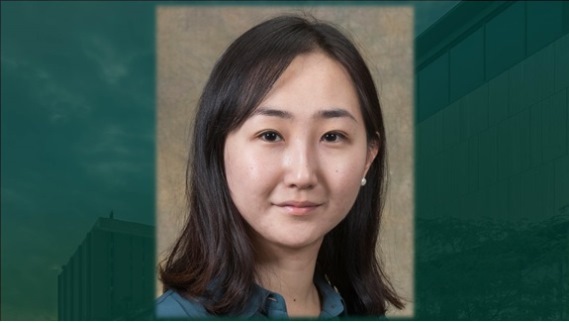 This summer Dr. Hong will begin a prestigious one-year residency and two-year clinical fellowship with the National Institute of Mental Health of the National Institutes of Health in Bethesda, Md., following the completion of her third year of residency with WSU in June. "I feel very excited and honored to be given this opportunity. It will be a memorable experience for me to be at NIMH working with such talented people. I very much look forward to the training," she said. Her research into adolescent depression will be mentored by Argyris Stringaris, M.D., Ph.D., chief of the Mood, Brain and Development Unit at the NIMH Intramural Program, and an internationally-recognized expert in the field. "This is a highly selective and very prestigious competitive program that attracts many applications from across the country. Very few are selected," department Professor and Chair David Rosenberg, M.D., said of the NIMH residency and clinical fellowship. "It is a testimony to Dr. Hong and the outstanding work she and her mentors have done, particularly the department's Associate Chair of Education and residency training program director Richard Balon, as well as Drs. Vaibhav Diwadkar, Jeffrey Stanley, Mark Greenwald and many other researchers who provide excellent mentorship for residents and other trainees, allowing them to publish their work and present at national and international meetings." Dr. Hong also received her bachelor's degree from Wayne State University. "As a Wayne School of Medicine graduate, seeing patients in the same hospitals and clinics as a resident has been a powerful experience. I understand that it takes the whole community to treat the sick, and my appreciation has grown for the work that the residents learn to provide for the community of Detroit. Also, I have been lucky with a great class of residents who have made the training enjoyable and meaningful," she said. "Navigating through medical school could be difficult, but I have met wonderful clinicians and teachers through Wayne who took their time to talk and to mentor me throughout the years. I am truly thankful for their kind words of wisdom."